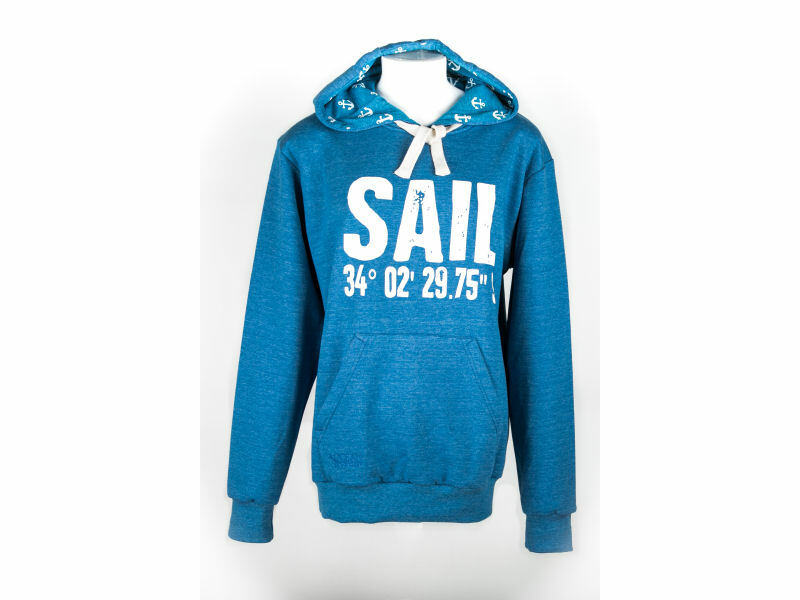 Royal blue melange classic cut pullover hoodie with adjustable white drawstring hood. 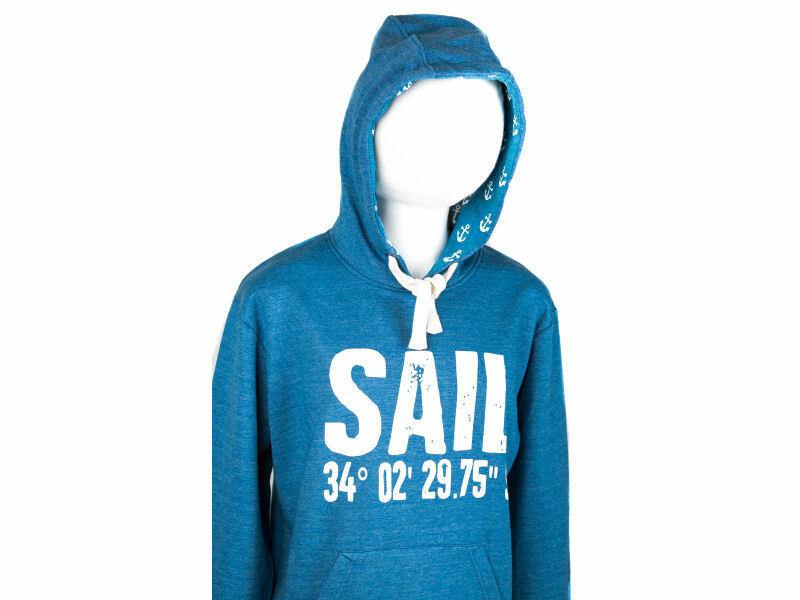 Hood has a royal blue melange inner white anchor print lining. 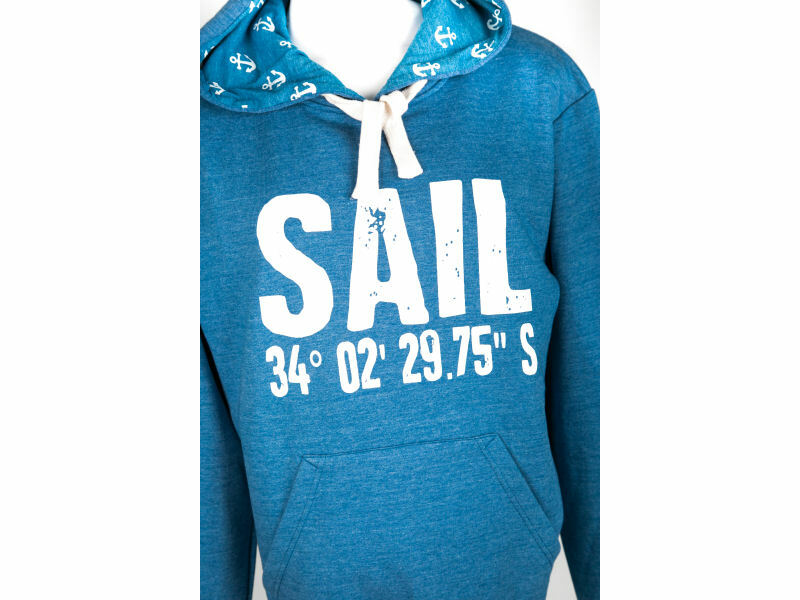 White “sail” print on the chest with co-ordinates print underneath. Front kangaroo pouch pocket with Ocean Odyssey embroided branding on the right hand side of the pocket. Finished off with a rib cuff and hem.